Page size: 8 1/2″ X 14″ – Safe Image Area: 6 5/8″ X 10 1/4″. 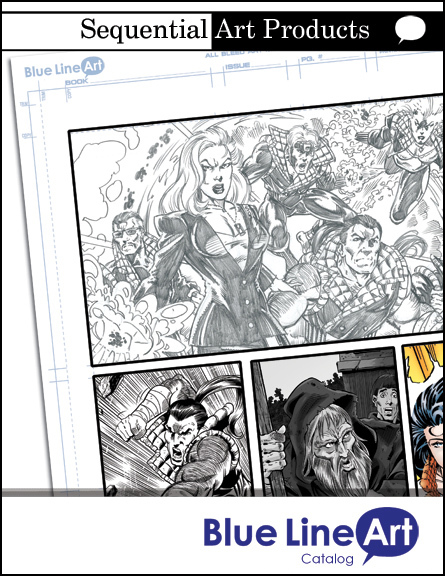 The Pro series has offered thousands of artists the opportunity to begin their careers on pre-printed paper like professional publisher’s use. The Pro series is great for use with pencil and ink (brush recommended) as well as markers, watercolors, washes and acrylics. 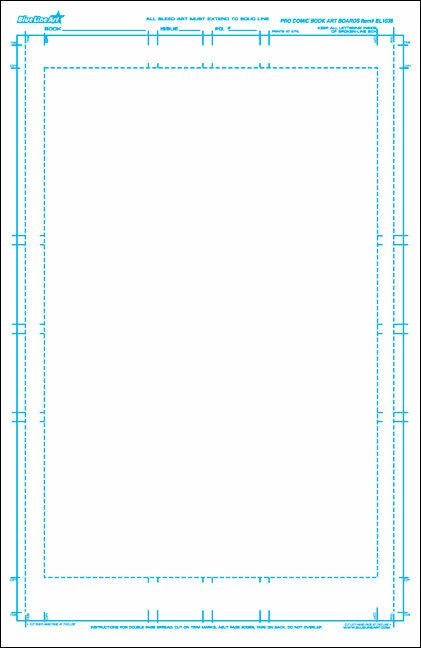 Printed on Premiere 400 Strathmore Series is a bristol paper preprinted with a non-photo blue border that is the trademark of all Blue Line Art boards. The main advantage of Strathmore is its 100% acid free feature. This prevents the signs of aging such as yellowing. 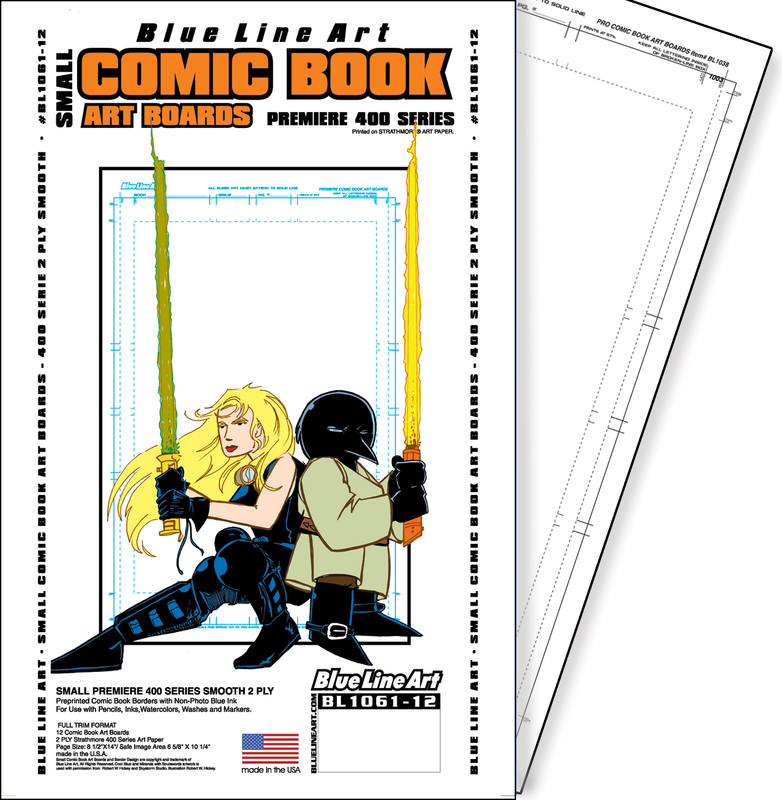 Premiere 400 Series Comic Book Boards have an extensive history as the leading paper used by the professional community. The smooth surface offers the artist a chance for detailed ink work and is suited for pencil and marker. The 2-ply thickness gives the paper extra durability.